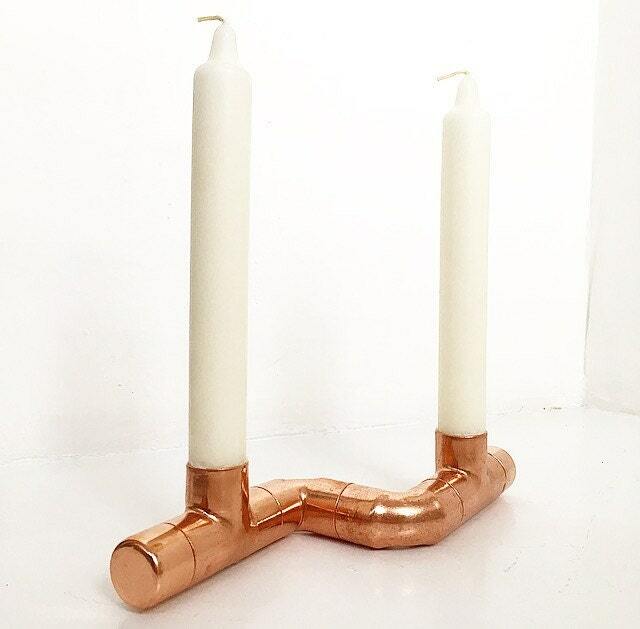 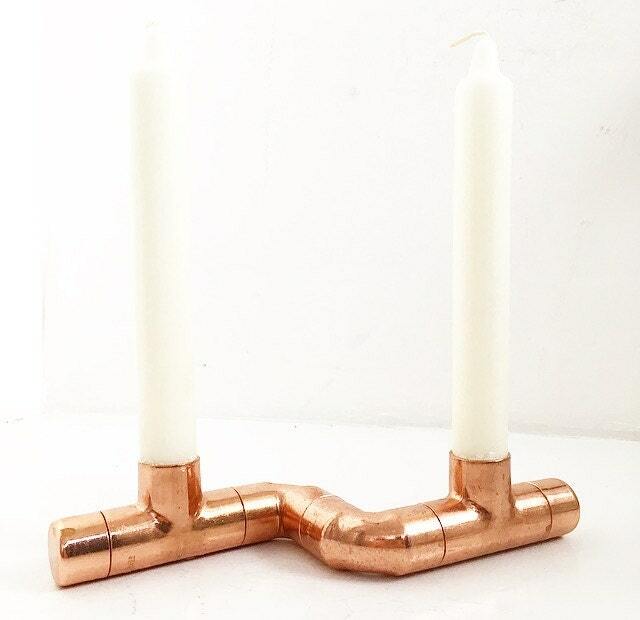 This beautiful candle holder is handmade from upcycled copper pipe. 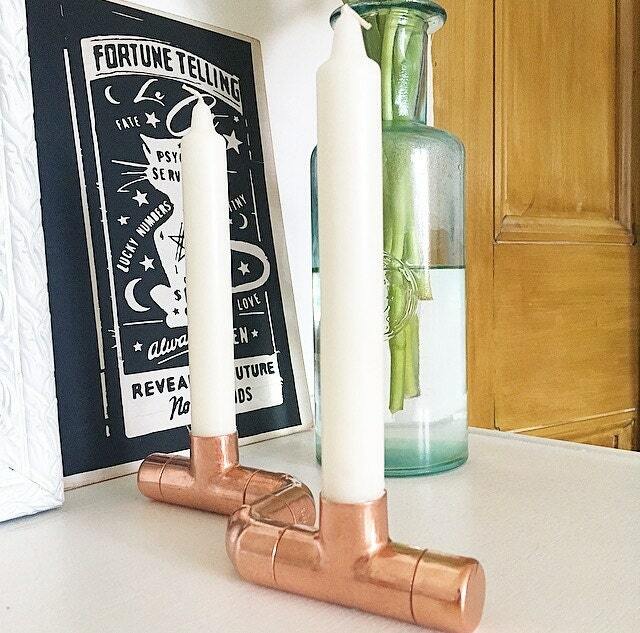 It perfectly captures both the industrial and copper decor trends in one stylish item. 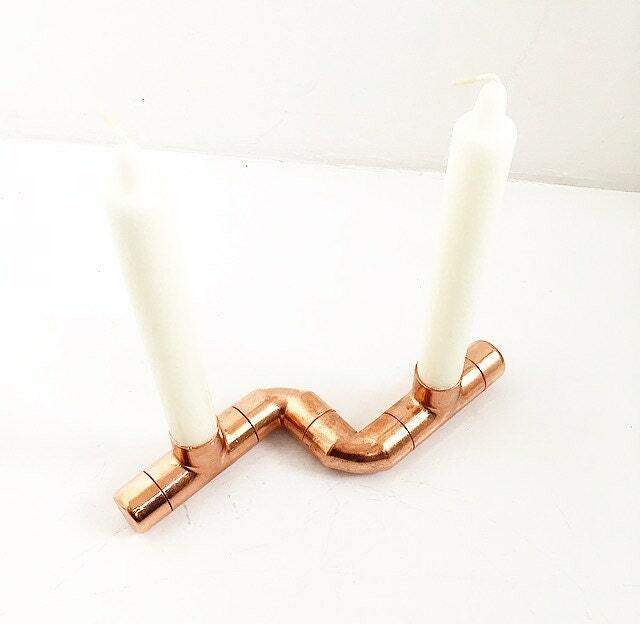 Perfect for any room in your home, or as a unique gift! 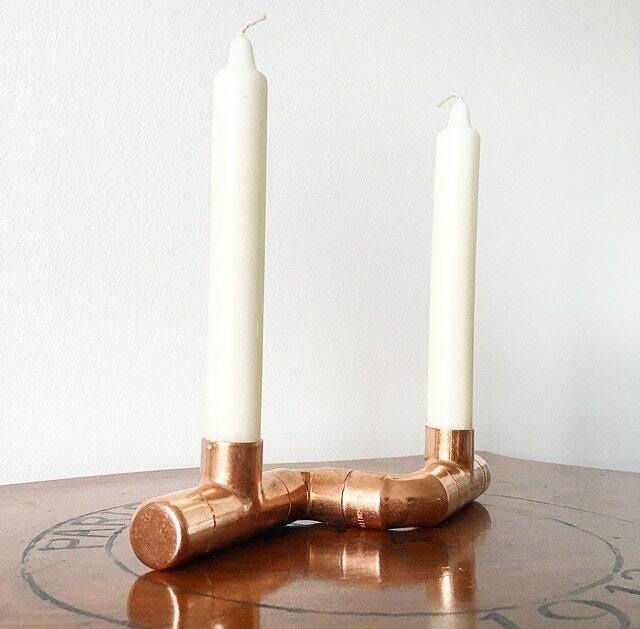 For use with 2 x dinner/taper candles.